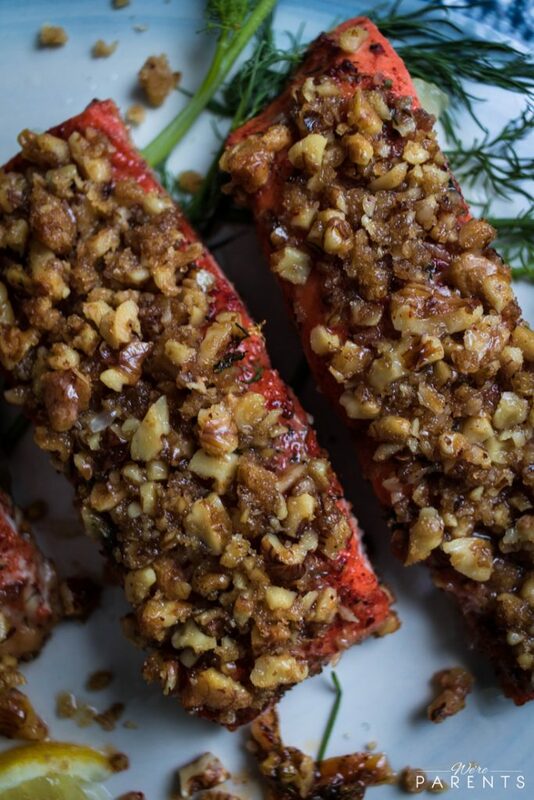 This Smoked Walnut Crusted Salmon post was sponsored by Alaska Seafood as part of an Influencer Activation for Influence Central and all opinions expressed in my post are my own. Even as a stay-at-home mom, life is hectic. I’m running a business. We are a homeschooling family. We have other business ventures we are currently exploring. And our oldest daughter is in soccer. Admittedly, some days I wonder how we are going to survive when there’s more added into the mix. I keep telling myself that moms always figure it out. One thing I seem to get right, most of the time, is getting food on the table for my family. Honestly, cooking at home most nights now stemmed from us trying to budget and save money. Now, it’s because I actually enjoy having a home cooked meal with my family on an almost nightly basis. Truthfully though, as much as I love to cook, I am not great at remembering to pull meat out to thaw the night before or even early in the day. Enter my love of Alaska salmon. 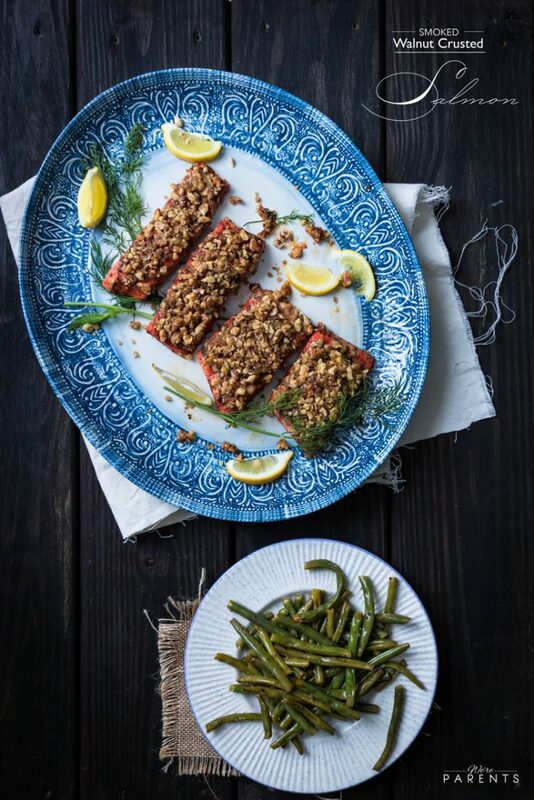 Not only do I love the taste and versatility of Alaska salmon, but I love that it’s super easy to work with and thaw out. 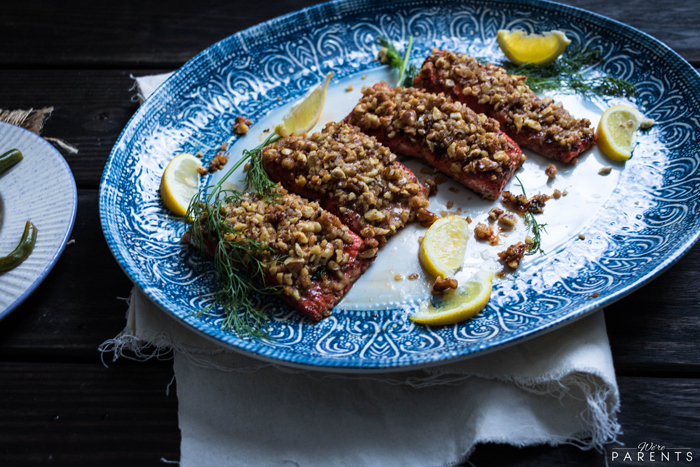 I always keep a bag of frozen Alaska salmon in our freezer and I have (often) gone from nothing thawed to dinner on the table in under an hour and a half before. 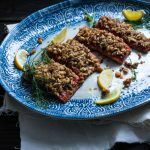 Alaska salmon is so easy to work with and you have the ability to pack a ton of flavor into a dish with simple ingredients. 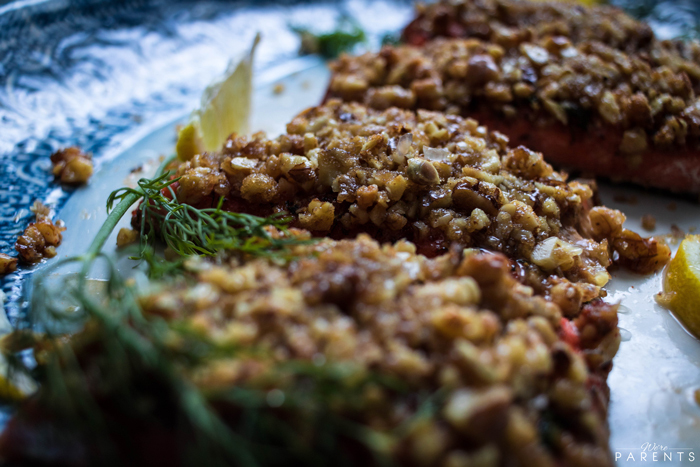 Today, I’m sharing our Smoked Walnut Crusted Salmon recipe. 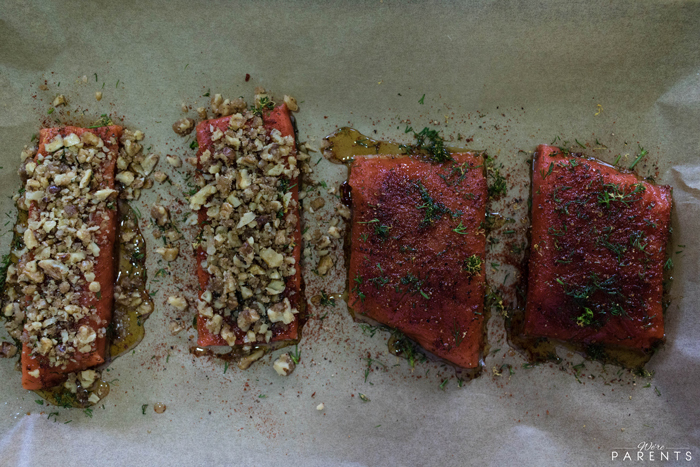 We start by seasoning the Alaska salmon, then drizzling maple syrup on each piece, followed by a walnut topping. What you are left with is utter perfection. In a skillet over medium low heat, add the chopped walnuts, brown sugar, and butter. Stir constantly for 5 minutes. Transfer to parchment lined baking sheet and spread out quickly. In a small bowl, combine smoked paprika, cracked black pepper, and pink salt. 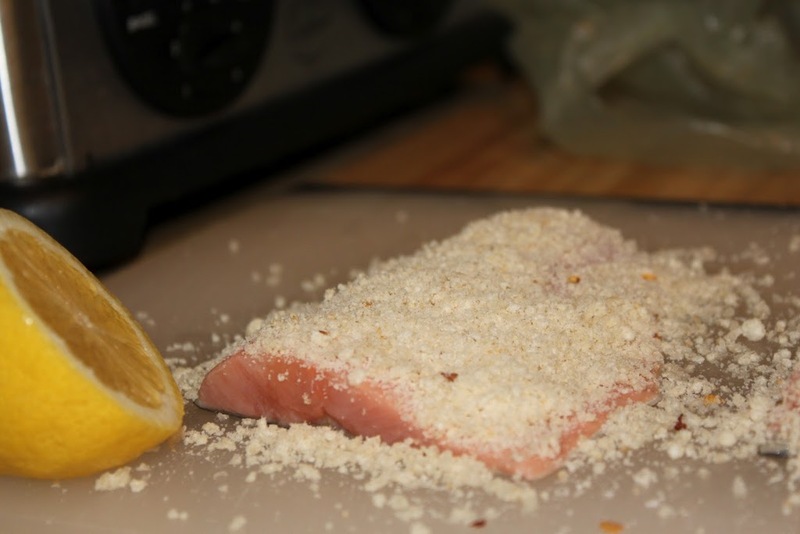 Gently rub seasoning mixture into each of the four fillets evenly. Spread chopped fresh dill and lemon zest across each fillet. Drizzle maple syrup evenly across the salmon. 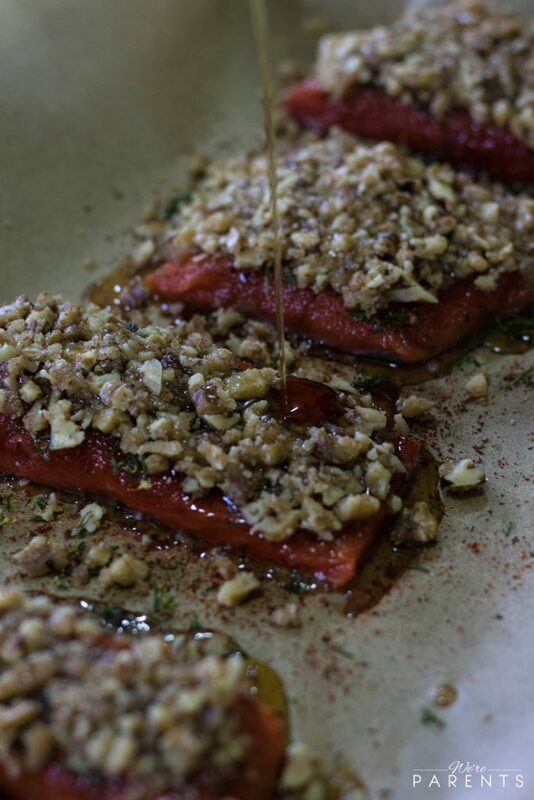 Gently and evenly top salmon fillets with the walnut mixture. Cook in preheated oven for 10 minutes or until temperature has reached 145 degrees. 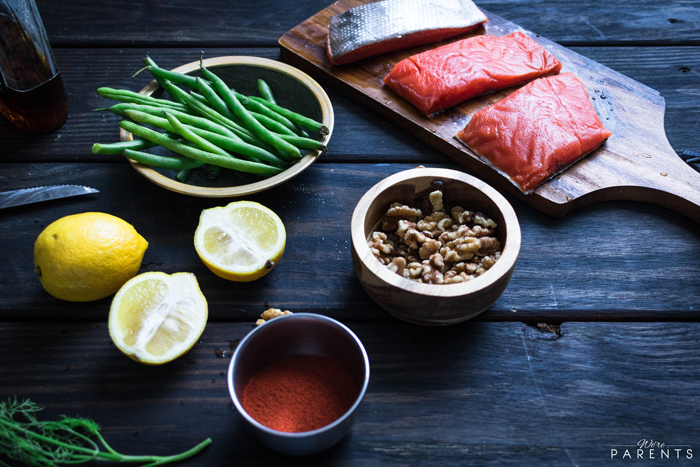 Wild-caught Alaska salmon includes five species including king, sockeye, coho, keta and pink. 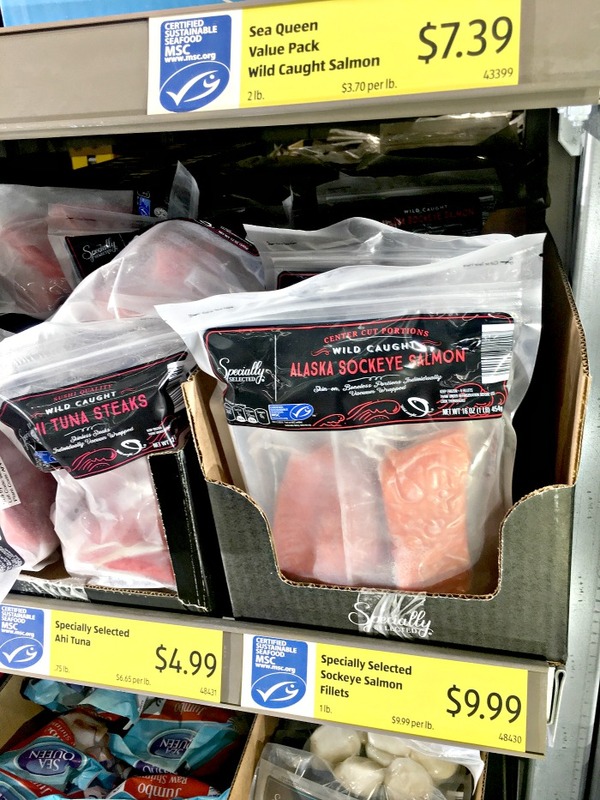 You can feel confident that if your package says Alaska salmon that it was wild and never farmed whether you get in the freezer or deli section of your local store. 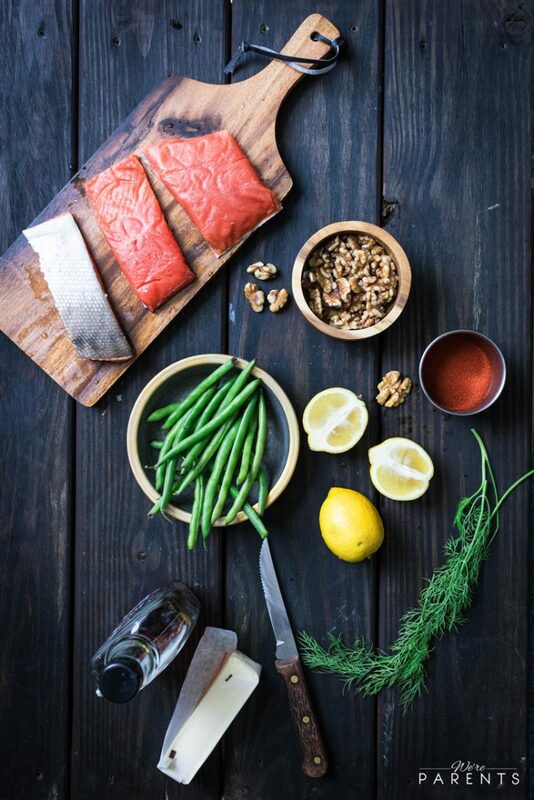 All Alaska salmon is natural and sustainable as well. Visit www.wildalaskaseafood.com for more recipes, as well as cooking techniques and tips. Make sure when you are at your local store (or restaurant) next time that you #AskForAlaska.